MCB is proud to be aligned with prestigious organisations locally within Melbourne and Victoria, across the nation and around the world. Working with these organisations allows MCB to showcase Melbourne and Victoria as a leading business events destination. The Association of Australian Convention Bureaux (AACB) is the Australian business events network driving economic prosperity for Australia. AACB brings together Australia&apos;s most influential city and regional bureaux, dedicated to marketing their specific region as premier business events destinations to domestic and international markets. AACB and its members represent more than 1,700 tourism and events industry operators. The Australian Tourism Export Council (ATEC) is an industry body representing Australia’s tourism export sector. Members include inbound tour operators and online distributors who connect Australian tourism products with vital distribution channels in key overseas markets. Services include B2B opportunities, industry advocacy and development, education and business capacity building, local and national networking events and conferences. The Business Events Council of Australia (BECA) provides an umbrella structure for the key industry associations operating in the Australian business events sector. BECA provide a single voice for the industry and liaise with the federal government and relevant agencies on matters common to all sectors of the industry. BestCities Global Alliance is a network of twelve premier meeting destinations. Melbourne is a founding member of BestCities Global Alliance. The mission is to deliver exceptional standards in conference, event and association management, helping clients achieve meaningful impact through a global network of industry experts. Business Events Victoria (BEV) is a membership-based group. It operates as a collective group and identified the need for a coordinated and cooperative industry approach to the marketing and promotion of business events for regional Victoria. The Exhibition and Event Association of Australasia (EEAA) is an industry association for those in the business of trade and consumer expos and events. The association work to ensure industry growth by encouraging high industry standards, promoting the professionalism of EEAA members and highlighting the unique business opportunities that exist through exhibitions and their associated events. 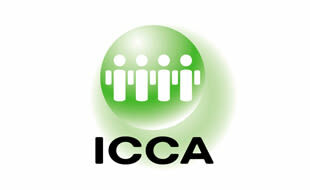 ICCA - the International Congress and Convention Association - represents the world&apos;s leading suppliers in handling, transporting and accommodating international meetings and events, and comprises over 1,000 member companies and organisations in almost 100 countries worldwide. The International Association of Professional Congress Organisers (IAPCO) mission is to raise the standards of service amongst its members and other sectors of the meetings industry by means of continuing education and interaction with other professionals. Meetings & Events Australia (MEA) is a national, independent not for profit organisation dedicated to servicing the needs of the meetings & events industry and promoting professionalism and excellence in all aspects of meetings and event management. It also promotes the value and effectiveness of meetings and events as an important high-yield sector of business travel and tourism. Meeting Professionals International (MPI) empower Meeting and Event Professionals globally. It is the largest meeting and event industry association worldwide, and committed to providing the best education, experiences and relationships to help you produce the best meetings and events. 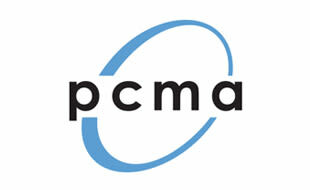 Professional Convention Management Association (PCMA) educates and informs the business events industry. With more than 7,000 members and an audience of more than 50,000 individuals, PCMA is the world’s largest network of business events strategists. The Society for Incentive Travel Excellence (SITE) is comprised of 2,000+ members and 29 local chapters. The incentive travel works to reward, retain and motivate employees. The SITE global member community, which represents 84 countries is on a mission to strengthen and inspire this extraordinary industry. Tourism Accommodation Australia (TAA) represents the needs and interests of the substantial operators of Australia’s accommodation industry, providing leadership for its members through advocacy, industrial relations and legal support, intelligence, research, education and networking. Tourism & Transport Forum Australia (TTF) is an industry group for the Tourism, Transport and Aviation sectors. TFF is a national, member funded CEO forum, advocating the public policy interests of the most prestigious corporations and institutions in the Australian Tourism, Transport, Aviation and Investment sectors. The Victorian Employers&apos; Chamber of Commerce and Industry (VECCI) is a body for employers in Victoria, informing and servicing more than 15,000 members, customers and clients around the State. The focus is on leading business into the future and being the voice for business, representing and championing our members in a difficult regulatory environment. Victoria Events Industry Council (VEIC) is a body for Victoria’s events industry, providing one united industry voice. It also incorporates the Events Policy Committee function of the Victoria Tourism Industry Council. Victoria Tourism Industry Council (VTIC) is a body for Victoria’s tourism and events industry. They offer the latest news and information, connections to tourism and events professionals, accredited training and invaluable employer advice to help you thrive and avoid potential pitfalls.